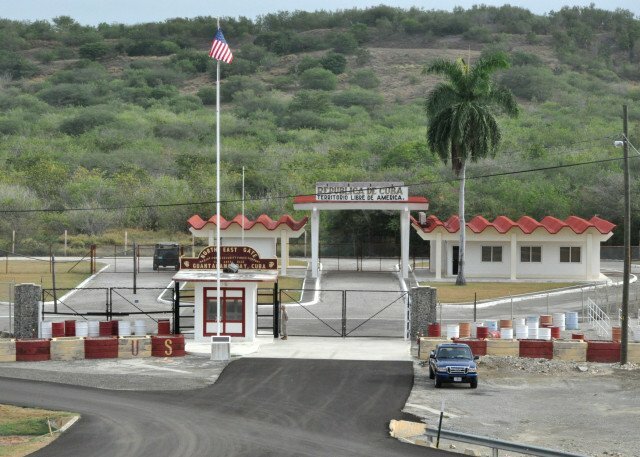 According to the White House, the US will not hand back the Guantanamo Bay naval base as part of efforts to improve relations with Cuba. Cuba’s President Raul Castro included the demand in a speech on January 28, calling also for the US trade embargo to be lifted. President Barack Obama “does believe that the prison at Guantanamo Bay should be closed down… but not the naval base”, the White House said. The land on which the base stands was leased to the US by Cuba in 1903. The Cuban government which came to power in the revolution of 1959 has long demanded its return, saying it is a violation of international law, but the US points to a legal provision making the lease permanent unless it is terminated by mutual agreement. Last month the two countries announced a thaw in relations, agreeing to restore diplomatic ties severed in 1961. Delegations have begun negotiating the re-establishment of embassies. In his speech on January 28, Raul Castro said: “The re-establishment of diplomatic relations is the start of a process of normalizing bilateral relations. This condition was rejected by White House spokesman Josh Earnest in remarks to the media on January 29. Josh Earnest agreed that President Barack Obama was seeking to shut the prison at Guantanamo Bay, as it “only serves as a recruiting tool for al-Qaeda and other extremist organizations”. “But the naval base is not something that we believe should be closed,” the White House spokesman said.